Discuss amongst yourselves (Online that is!) - Be your best teacher! Just a little Saturday Night Live Humor for you. Now – If you have some students who are super quiet in class, you might be surprised at how they come to life online. I have seen such a change in my students when I ask them to join in on an online discussion. Usually a week-long discussion board is all you need as a great assignment to bring them out of their shells! Here’s how – Choose an exciting or controversial topic to motivate participation, similar to how you would choose one for a great debate, or socratic seminar in the classroom! One possibility is to post a difficult problem or debate question and ask students to write a multi-paragraph response. Later in the week, they can respond to two or more of their classmates. You can also ask students to post a document or video to enhance their response. I have found that group assignments work especially well online. It is harder to free-ride on your group when all your work is displayed. Once you’ve created a good discussion prompt, your next job is to get the discussion board to come alive! Often students will hang back for days hoping someone else will post. One way to get students moving is to randomly assign a leader each week who can earn extra points by posting on the first day. If the leader misses the deadline, the first student to post can “steal” his points. If the discussion is slow, you can resort to the “flash mob” trick. Make a post that offers points for every post over the next two hours. Each student’s credit will increase with the number of participating students. The first student who sees your post, will get everyone to the board! Here’s a few general tips to get started. Always Make the rubric clear. You will need to define your expectations for the number of posts each student should make, the length of the post and the timing. Without a clear rubric, many students will make all their posts at the very last moment! Close the board after the assignment. If you don’t close the board, you may find ongoing discussions weeks later. It is likely that you’ll want to monitor what is written, and you won’t want too many open discussions. Jump in when you have to, but give the community a chance. Sometimes, you will have a strong urge to correct what a student has posted. Ideally, other students will jump in. 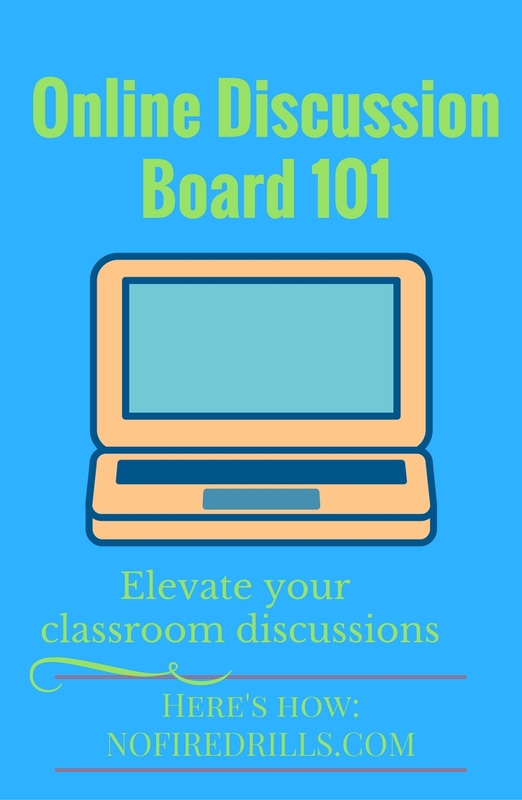 You will want to join the discussion frequently so your students know you are participating (and watching), but you don’t have to respond to every thread! Happy online discussing! Let me know how it goes for you! What a great blog post! Love reading your entries every day, keep it up!